StellarX is the National High School Space Competition. Anoka fielded its first team in the 2017-2018 season. 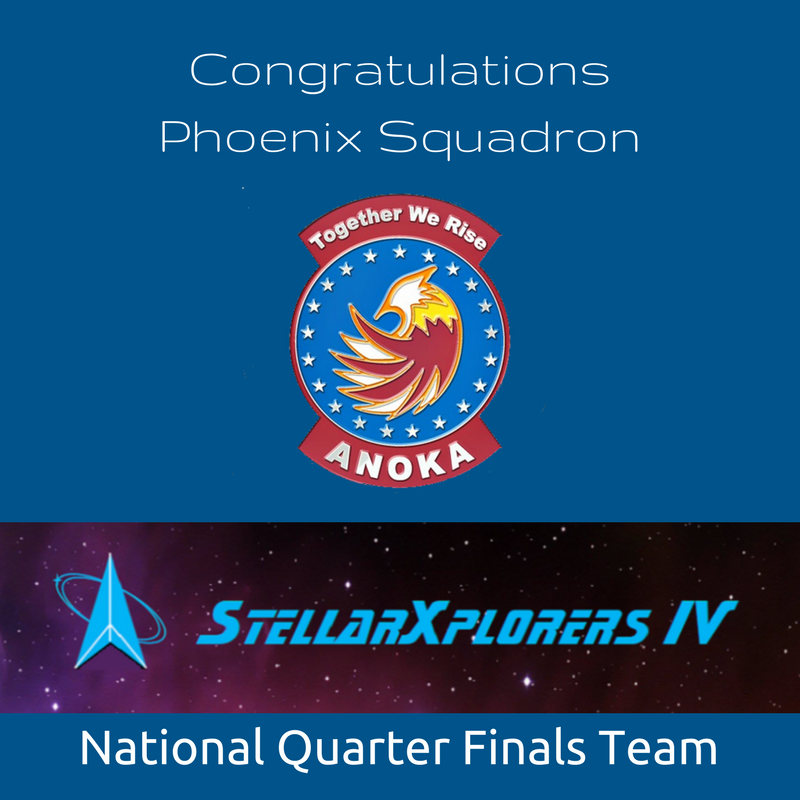 As of January 2018, our team – Phoenix Squadron – has qualified for the National Quarterfinals. This national competition has students challenged to design realistic aspects of space operations, such as orbit definition, satellite design, and launch vehicle selection. competition consists of three practice rounds and three online qualification rounds. – Defining two orbits providing the most satellite coverage over a designated city during a two-week period. – Selecting components for the satellites used in the first qualifying round. – Choosing the best launch vehicle option to launch the two satellites from previous rounds. requirements and gaining a new appreciation for the complexity of space. The students have taken their first steps on the road toward future leadership in America’s critical space enterprise.